We understand that as parents you will surely have plenty of questions when you are about to buy any product, more so, when it is directly related to your child’s safety. We believe it is our duty to help you in addressing those questions, so that you could make the right choice for you and your child. Here, we have picked few of the most commonly asked questions from the parents. Hope this helps in making the right decision for your child. 1. How can KidsafeBelt help secure my child? 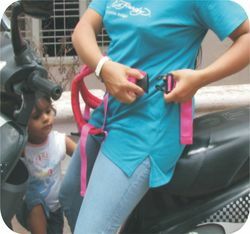 KidsafeBelt is a safety accessory which you can use while riding with your child on a two wheeler. 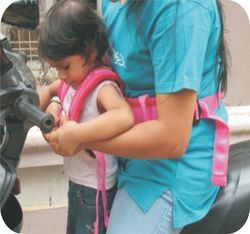 The idea is to snug and strap your child to you, so that, even when you are focused on bad roads or traffic, your child does not lose grip and fall off the bike when you are about to lose control of the bike. It’s also best to hear directly from other parents who are already using this product. 2. How secure is this belt, is this tested ? 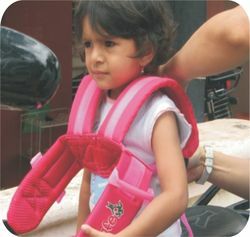 We have an engineering research and developement team who started of with the challenges like the child has to seated front, behind, expandable to a certain age, durable materials, strong buckcles, reliable stiches, durable, not strained due to multiple uses (fatigue), etc and at the same time be simple and user friendly to use. Yes, this has been tested for Strength, Durability and Fatigue by SGS International Testing Facility. The KidSafeBelt has been subjected to prolonged tension and has proved to sustain an impact load of 80 kgs until the buckles could cripple. This means, we have 2.5 times factor of safety inbuilt in the design. We have infact tested this on our own children, before we could get propose this for other children. So, you can be rest assured of the quality of the belt. Also, we have double buckles for DOUBLE PROTECTION ! 3. Is KidsafeBelt an alternative to a helmet? 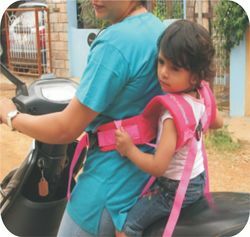 KidsafeBelt is not an alternative to helmets. 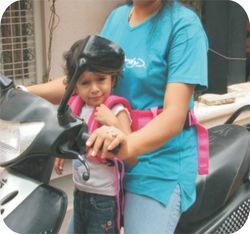 While helmet protects your child from head injuries, God forbid, when an accident or collision happens, KidsafeBelt is an additional preventive measure to ensure kid does not fall off the bike when you lose balance. KidsafeBelt is not a replacement or a substitute for helmets. In fact, we strongly recommend wearing helmets, along with KidsafeBelt during your ride. Along with taking precautionary measures, it’s also important to be alert and careful while driving. 5. Yes, we can use this on the Scooter, but how about the Bike ? Yes, the height and size of the bands are designed based on the seating positons of both parent and the child. Since the seating positions of the parent and child will be inline, you could comfortably use them on the bike too. 6. Ok, we can use this on Scooter and Bike. How about on the Car ? Ideally we recommnend using a Child seat at the back seat. You know, sometimes the child is reluctant to sit behind and wants to accompany the parent at the front seat. But the present car seat belt at the front, is designed for adults and when used for the child, the belt would come over the face and may not serve the purpose. 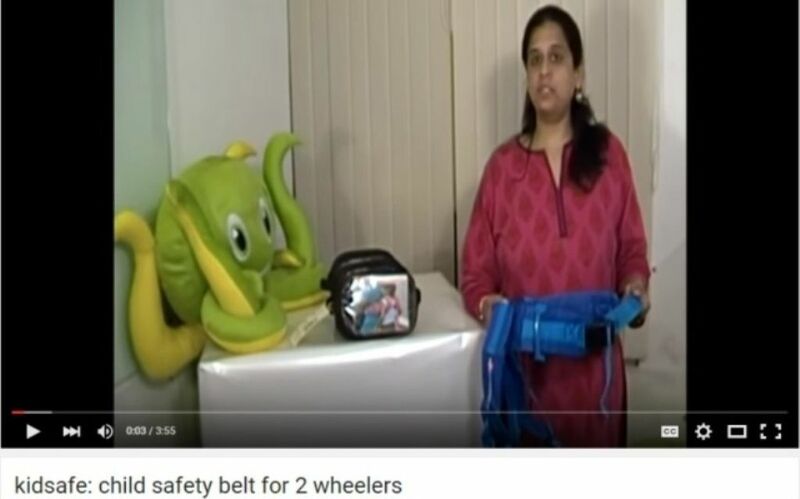 In this case, the KidSafeBelt becomes handy. Yes, we have adjustable tapes to take this into consideration. 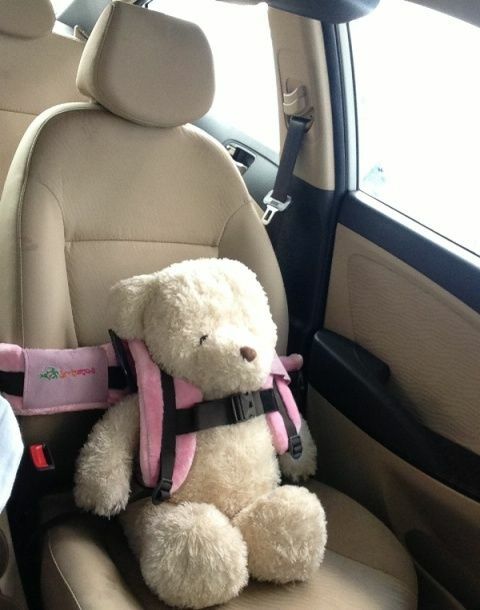 In this case, the child will be harnessed to the seat instead of the parent. 7. Uptil what age can we use this Belt ? Children like riding with their parents. We recommend the minimum age to be 2 years. 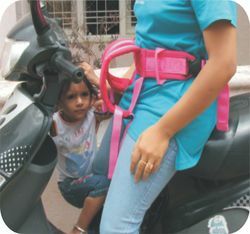 Howevever the belt comes with adjustable straps to hold the child safe and secure even at early ages as long as the child can sit on the two wheeler. We have had parents using them at early stages too. The expandable straps could use used uptil the age of 7. Why 7 ? Based on the research, child gets old enough to say No and resist. 8. Can this be used for my daughter or son ? Yes, this is Unisex and anyone can use this. It's just the matter of material and the color choices that your child likes ! 9. Can the child's grandparent use them to ride the young ones ? Yes, since we have the adult waist upto 50 inches, adult of any size could use the belt comfortably. 10. What happens if the Child gets tired and tends to sleep while you ride back home ? We don’t recommend to take your child for long rides while sleeping. However children are children and tend to sleep as they are tired or since they feel good with the breeze blowing on their face. 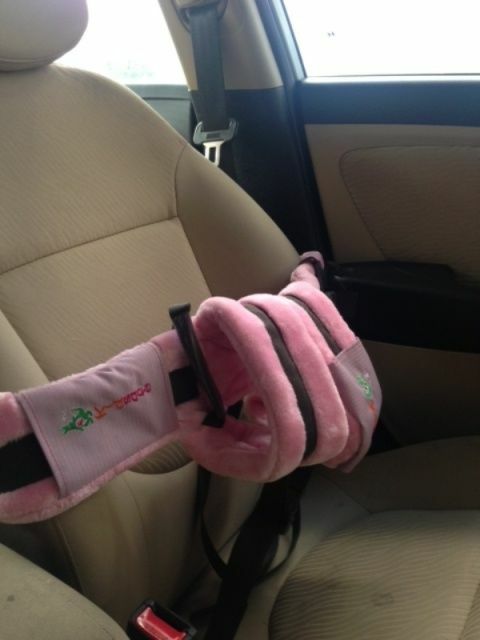 In these situations, we have gone an extra mile to provide a add on head rest for the child so that thier tender head does not fall because of drowsiness. Pro, Luxor and Prime could be used on two wheeler and car. The only difference between all three variants is with the material. Pro comes with Nylon fabric, while Prime comes with soft feel fur material. Combo can used if you are taking 2 children on the two wheeler - one at the front and the other behind. Plus - If you already have a Pro, the Plus could be used as an add on for the 2nd child. For the latest prices of all the variants, we recommend you to visit our product page to know more. 12. Sounds costly, may be we could find cheaper ones in the market for lower cost ? Yes, it looks simple after the design is completed. However we have done a lot of reserach and development and our focus is on the attention to details which is hard to identify from the exterior looks. 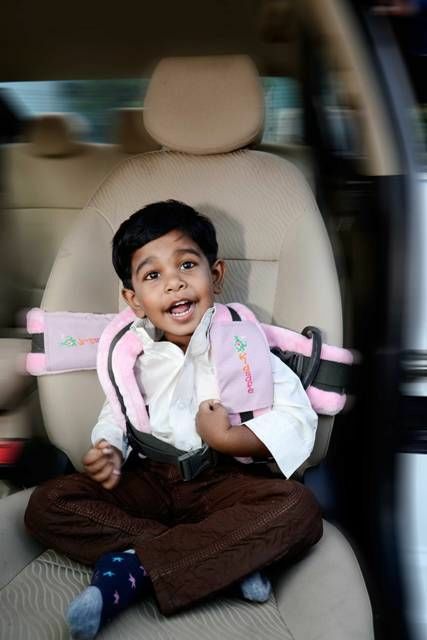 It's a 5 to 7 year investment for your child safety which is versatile and has multi utility. We can develop a product with a relatively lesser cost, however this is not what we want to do. We do not want to compromise the cost against your children's safety as they are precious ! 13. Why is the cost sometimes less on www.kidsafebelt.com compared to online marketplaces like Amazon, Flipkart and Snapdeal. It's simple. 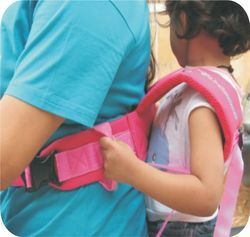 We are the designers and manufacturers of KidSafebelt. So, the commission given to the online retailers is given back to customers as discount. But this is for a limited period ONLY. So grab it Now ! 14. Is my payment safe? Is Cash On Delivery (COD) mode of payment available? The connection to this site is encrypted and authenticated using a strong protocol. You can be rest assured that all your payments are conducted securely. 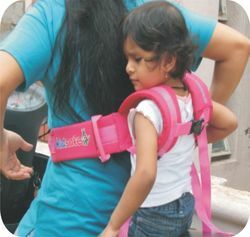 Although COD is currently not available through www.kidsafebelt.com, you can avail this option through our other online retailers such as Amazon, Flipkart and Snapdeal . You can visit these websites and simply search for “Kidsafe” or“Kidsafe Belt”. 15. This product seems to be new and how can we still believe ! We are a trusted brand over 7+ years. We are backed up, by 10,000+ parents who have used KidSafeBelt ! 16. Can I return the product if I am not comfortable with the purchase ? If you believe, KidSafeBelt does not serve the purpose of a snug and secure ride on your two wheeler, please feel free to call us at +91 9535 535 591 or send an email to contact@nudzine.com within 10 days of purchase and we will refund the amount. So what do you have to loose, why wait Buy Now ! Hope we have covered some of the basic questions you might have. In case you need more information or have any other questions for us, please feel free to call at +91 9535 537 591 or send us an email to contact@nudzine.com and we will be happy to help ! Prevention is better than Cure ! Still not convinced ! Wish you a Snug and Secure ride with your loved one !